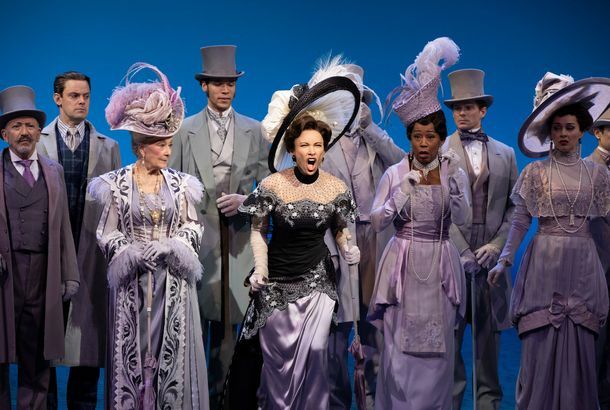 Laura Benanti Will Play Her ‘Dream Role’ of Eliza Doolittle in My Fair LadyBenanti will perform from October 23 to February 17. Laura Benanti’s Melania Returns to Distract Everyone With Her Clothing AgainIncluding an “F THE KIDS” hat. Laura Benanti’s Melania Trump Wants, Needs, Emmanuel Macron to Save HerIs the First Lady a prisoner in the White House? Laura Benanti Points Out the One Thing You Have in Common With Melania TrumpWe’re more similar than you think. Laura Benanti’s Melania Trump Addresses White House Rumors on Late ShowFLOTUS takes a break from her escape plans to discuss Fire and Fury with Stephen Colbert. Erica Durance Will Replace Laura Benanti in SupergirlSay hello to a new Alura. Broadway’s She Loves Me Will Screen in Movie TheatersOn December 1. Laura Benanti’s Impersonation of Melania Is GoldSaturday Night Live better take note. She Loves Me Will Be LivestreamedFor just $9.99. Theater Review: She Loves MeA show that’s a dear friend. Theater Review: Women on the Verge Not on the Verge of MuchEvery step this show takes is as deliberate and serious as a recovering drunk’s.